INDUSTRIAL INSPECTION (INTERNATIONAL) INC., is an independent integrated Engineering Inspection company whose experience dates back in 1967 when its United Kingdom based parent company established an office in the Philippines. Traditionally, EYEYE covers, Engineering Inspection, Non-destructive and Destructive Testing and Geotechnical Investigation Services available at every stage of projects that ranges from planning to the actual construction / commissioning, and to maintenance operation. The experienced acquired by EYEYE has enabled its engineers and technicians to successfully undertake difficult jobs and satisfy the requirements of any project basing its sound judgment on published and accepted guides, regulations, codes and standards, thereby giving confidence by its valued clients. EYEYE services are extensively sought by the clients in such diverse sectors of industries, ie, petroleum refinery, chemical plant, food processing, copper and steel smelter, steel manufacturing, water suppliers, power plants (fossil, natural gas & nuclear), high voltage transmission lines, geothermal plants, water resource management, environmental issues, and various heavy infrastructures of government (airports, bridges, roads) and private industrial concern. Geared to respond to the growing needs of the construction industries, EYEYE diversified into related services such as; Manpower Training Services, Trade Qualification Tests, Stress Relieving (PWHT), Sand Blasting, Surveying, Pressure Vessels Re-qualification (Stationary & Mobile) and lately CONSTRUCTION MANAGEMENT and MANPOWER DEVELOPMENT TRAINING & WATER WELL (Pilot / Production) and MINERAL EXPLORATIONS. INDUSTRIAL INSPECTION (INTERNATIONAL), INC. has remained the powerhouse in the field of Engineering Inspection, Environmental and NDE Services in the country today, setting world class Engineering services that have defined the way Engineering Inspection is done in the Philippines based on International Codes and Standards. Blessed with 50 YEARS of PROMPT AND HIGH QUALITY SERVICES, the company has sustained its passion for innovation and services, consistently introducing innovative Engineering Methods that are responsive to the needs of International & Filipino Multi- Industries. From a moderate Inspection Company that originates from United Kingdom, it evolved into a Multi-Engineering Services with experienced Engineers and Technicians equipped with the latest equipments necessary in serving the needs of industries involved in Petroleum & Petrochemical Industries, Power Generating Plant (Fossil, Nuclear Oil & Geothermal) Industries, Mega Infrastructures (Roads, Bridges, Electrical Transmission, Buildings, Airports, etc. ), EYEYE has been the forerunner in Engineering Inspection initiatives which others can only seek to emulate. For its vision and leadership and equally for its excellent services it has the biggest International and Local Industries as its loyal and satisfied clients in its Fifty (50) years of existence. 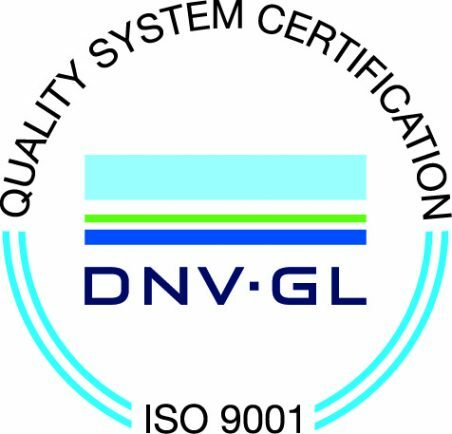 TO MAINTAIN its LEADERSHIP and HIGH LEVEL OF TECHNICAL COMPETENCE in the FIELD OF ENGINEERING and RELATED SERVICES, thru ADEQUATE MODERN FACILITIES, FOCUSLY TRAINED MANAGEMENT WITH HIGHLY SKILLED ENGINEERS AND TECHNICIANS BONDED TOGETHER to ATTAINED WITH SPEED, RELIABLE and QUALITY WORKS based on INTERNATIONAL and LOCALLY ACCEPTED CODES and STANDARDS with a MORALLY BASED COMMITMENT to SAFEGUARD and SATISFIED the REQUIREMENTS and INTEREST OF its VALUED CLIENTS and the ENVIRONMENT.